A WOMAN was knocked to the ground by a mugger as she walked alone in Portsmouth city centre. 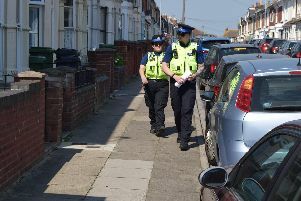 The 21-year-old was attacked by the robber between 9.30pm and 9.45pm last night in Greetham Street. A Hampshire Police spokesman said the woman cut her right elbow as she fell.